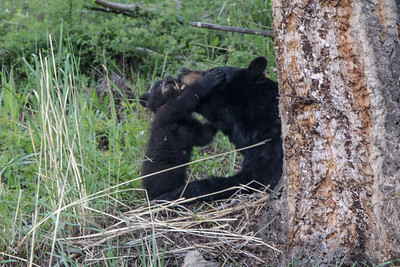 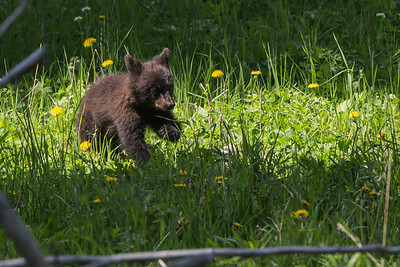 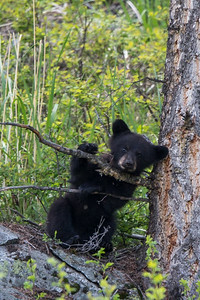 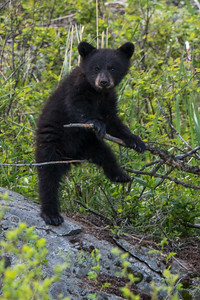 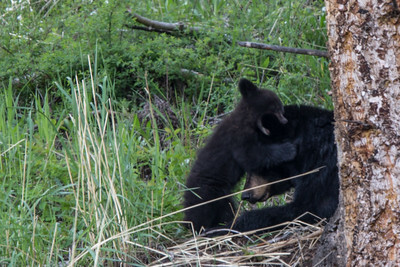 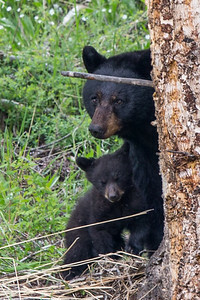 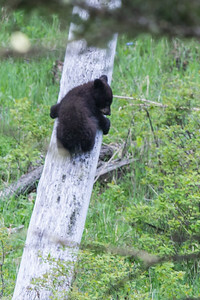 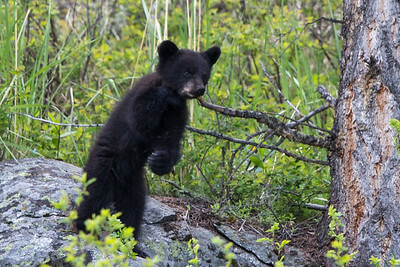 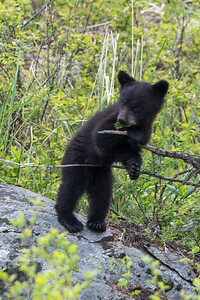 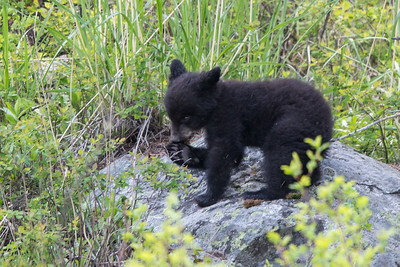 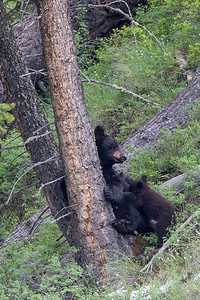 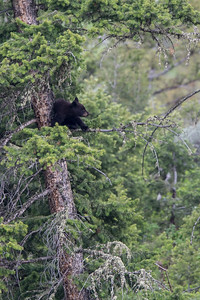 Black bear cubs and yearlings from various locations. 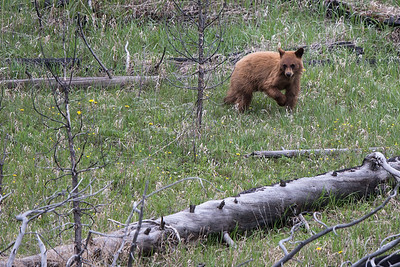 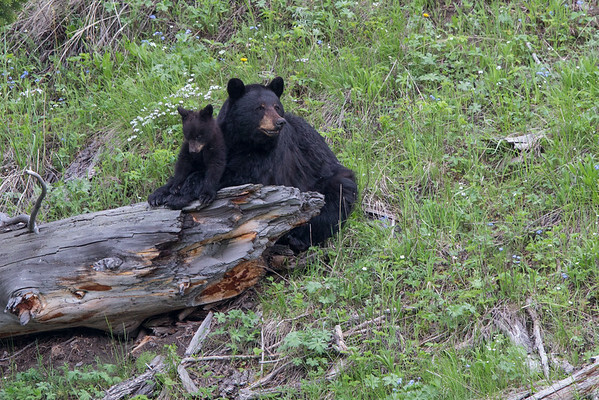 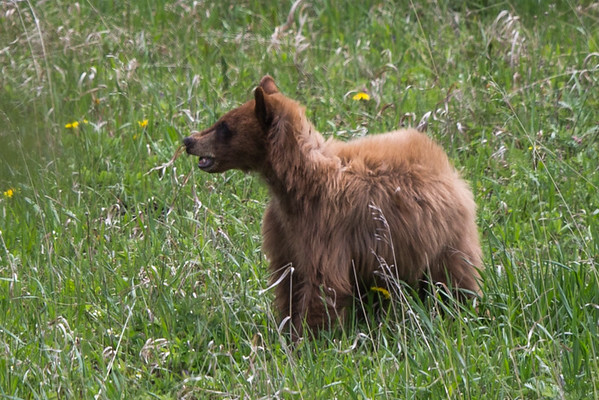 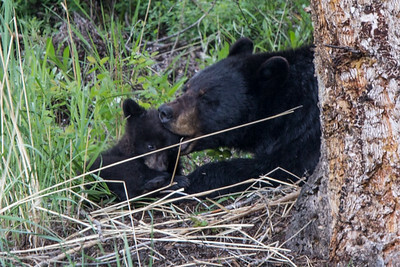 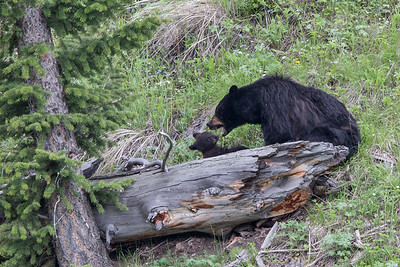 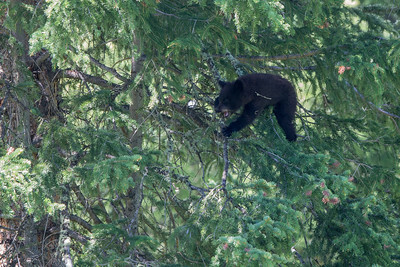 Black bear sow and yearlings near Dunraven Pass. 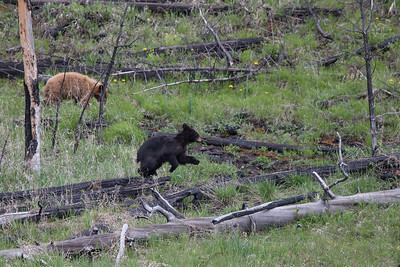 Black and cinnamon yearlings.